waist pain, knee pain, etc. 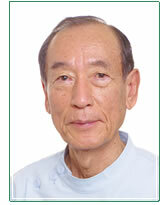 We are one of the leading acupuncturists in Tokyo. a jewelry of traditional Oriental Medicine. the Western Medicine, please visit us. or are introduced by anybody. and acupuncture treatment is to remove the trouble and circulate Qi smoothly. similar to balance the autonomic immune. Also partial treatment mentioned below is done simultaneously. so this is almost pain free treatment. Treatment only for painful or trouble area is done. and method at a college and 3 famous acupuncture masters in Japan. foreign insurance plans are issued. copyright (C) 2009-2019 目黒駅 徒歩2分 はり 鍼灸マッサージ 響 all rights reserved.